KARACHI, July 10: Nine more ministers were inducted into the Sindh cabinet on Wednesday, making the total strength of the cabinet 16. Besides, two advisers, not part of the cabinet, were also sworn in, making the advisers strength five. The new ministers were administered the oath by Governor Ishratul Ibad Khan at a function held at the Governor’s House where Chief Minister Syed Qaim Ali Shah and Sindh Assembly Speaker Agha Siraj Durrani were also present. The newly inducted ministers are: Jam Mehtab Dahar, who got the food department portfolio. He is a son of PPP leader from Ghotki Jam Mumtaz Dahar. Jam Mehtab Dhar, re-elected from PS-5 Ghotki-1, was revenue minister in the last cabinet. Ali Mardan Shah has been assigned the department of population welfare with the additional charge of commerce and industries. Mr Shah, re-elected from PS-70 Umerkot II, is an outspoken leader of the PPP, who was a in the last cabinet also. Mukesh Kumar Chawla has been reassigned the department of excise and taxation. He was returned again as a member of the assembly against a reserved seat for minorities on a PPP ticket. Syed Awais Muzaffar has been made minister of housing and town planning with the additional charge of public health engineering. He was elected for the first time to the assembly, from PS-88 Thatta-V. He is reportedly a foster brother of President Asif Ali Zardari. He is better known by his nickname of Tappi and had more influence than ministers in the last cabinet. Javed Nagori has been given the department of kutchi abadis, the portfolio held by the late Rafique Engineer in the last cabinet. Elected for the first time, from Lyari PS-108, he is a committed senior member of the PPP and general secretary of its district south chapter. Dost Ali Rahimoon, appointed minister of Auqaf, Zakat and Ushr, is also a dedicated member of the PPP. He was elected from Tharparkar after defeating the candidate of the influential Arbab group, led by former chief minister Dr Arbab Rahim. Jam Khan Shoro has been made minister of livestock and fisheries. He was also elected for the first time, from PS-47, which was earlier represented by Zahid Bhurgari. Gayan Chand Israni has been given the portfolio of forests and wildlife with the additional charge of minorities affairs. He was elected on a minorities reserved seat from Thana Bola Khan. 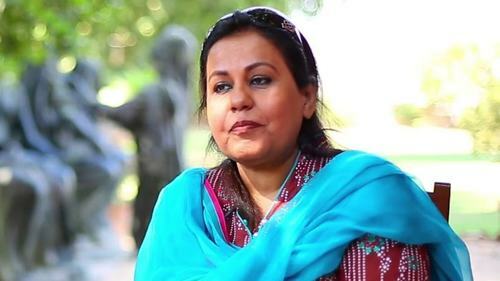 Robina Qaimkhani has been made minister of the department of social welfare and women development. Her entire family is committed to the PPP. Her mother, Perveen Qaimkhani, was a close associate of Benazir Bhutto. Robina was earlier a member of the National Assembly, elected on a reserved seat for women. 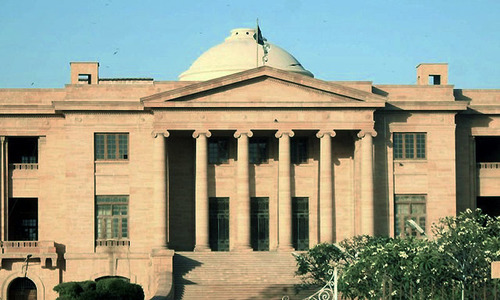 The two advisers appointed on Wednesday are: MPA Hasnain Mirza, a son of former home minister Dr Zulfiqar Mirza and MNA and former speaker of the National Assembly Dr Fehmida Mirza. Earlier he was elected to the last assembly after his father vacated the seat following a tiff with the Muttahida Qaumi Movement over a local government system. Muhammad Khan Junejo is also a scion of a PPP loyalist family from Sanghar. He is son of PPP MNA Roshan Ali Junejo. 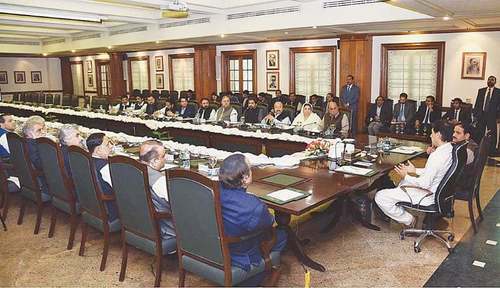 The seven ministers inducted in the cabinet in the first phase were: Senior minister Nisar Ahmad Khuhro, Dr Sikandar Mandhro, Manzoor Wasan, Sherjeel Inam Memon, Mir Hazar Khan Bijarani, Makhdoom Jamil-uz-Zaman and Ali Nawaz Khan Mahar while Syed Murad Ali Shah was made an adviser.